Home / Audio Surveillance / How do I add Audio to my Security Camera System? How do I add Audio to my Security Camera System? We are often asked “How do I add Audio to my Security Camera System?” Adding audio to an existing surveillance camera system involves some basic requirements. Even if your system supports audio, that does not always mean that your cameras have built-in mic’s. Most Security Camera systems are set up in a similar way, and will require an additional Microphone Kit to achieve audio. If that is the case, you can basically follow the CCTV Microphone Installation Instructions below. 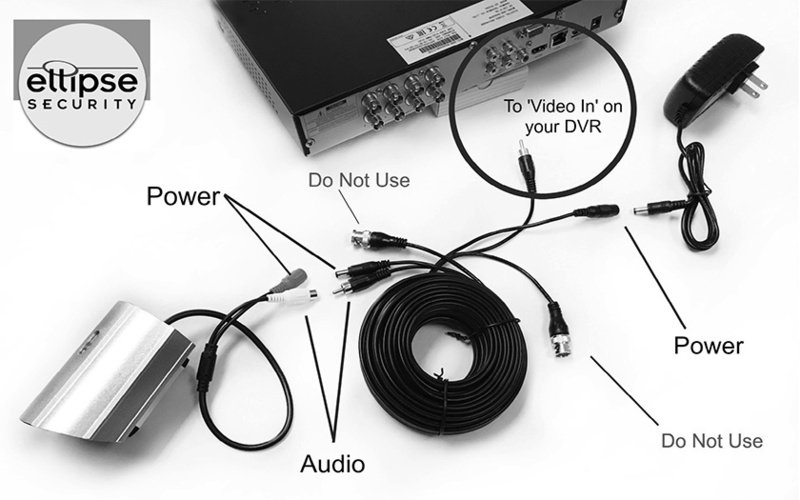 Here we explain how to hook up a basic, stand alone, CCTV Microphone Kit to an HD Security System. In addition to hooking up the microphone, you must ensure that there is a way to hear the audio or play it back. 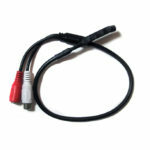 In order to hear the audio, you must have a set of speakers for the DVR or your DVR or NVR must be connected to a monitor with built in speakers. Also, before use, please refer to your state and local laws, and statutes, regarding audio surveillance, recording, and monitoring. Pictured above is our MICO-65KIT, Outdoor Surveillance Microphone Kit. See all Security Microphone Kits Here! 1. 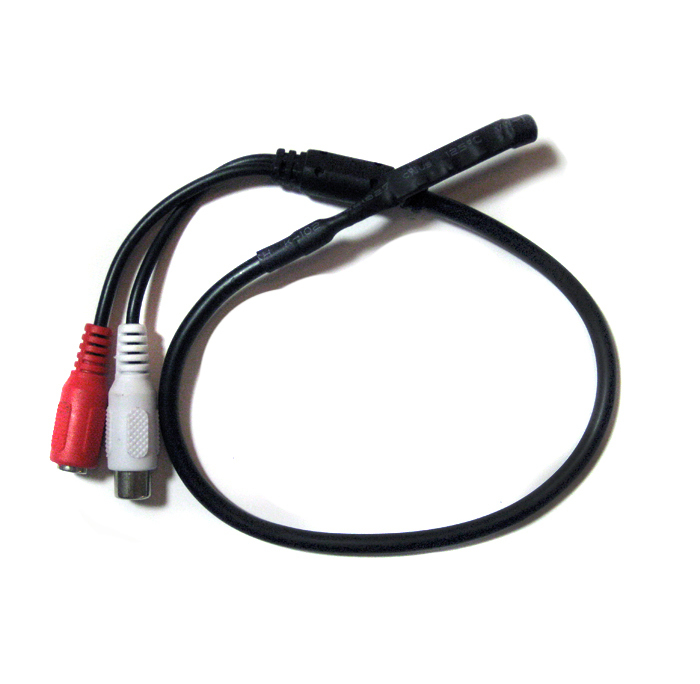 Plug Red Power from Microphone into Male Power on Cable. 2. Plug White Audio Plug from Mic into Male Audio on Cable. 3. 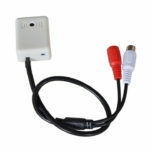 Plug Female Power on DVR side of cable into Power Adapter. 4. Plug Power Adapter into Power Source. 5. 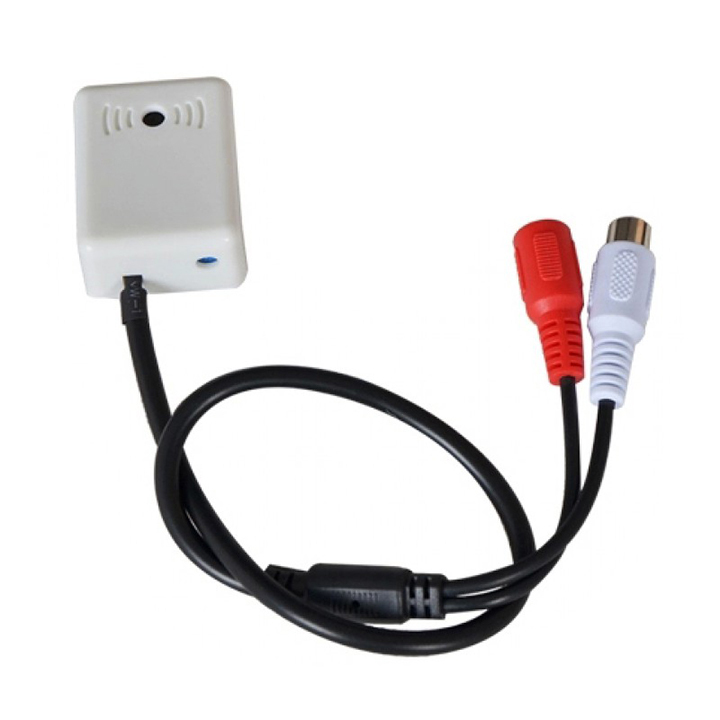 Plug Male Audio on cable into Audio Input (Or Audio In) on DVR. 6. BNC Plugs in this picture will not be used. Some Microphone kit cables come with audio and power only. 1. Security DVR or NVR must have an audio input. 2. If Audio is plugged into (Audio In) channel 1, DVR must be pulled up on channel 1 Full Screen Mode to hear live audio. 5. Do not run audio cables next to high voltage or power wires, or install microphones near noisy appliances. Both will cause unwanted interference and noise. For additional technical assistance, call us toll-free at 877-880-7728! We love to talk to people about Security Microphones! This is very useful tips for add audio to my security Camera system. I also face this problem but this post help i solve it. Thanks for sharing advice. Thank you for sharing excellent informations. Your web-site is so cool. I am impressed by the details that you have on this site. It reveals how nicely you perceive this subject. Bookmarked this website page, will come back for extra articles. You, my friend, ROCK! I found just the info I already searched all over the place and just could not come across. What a great web-site.